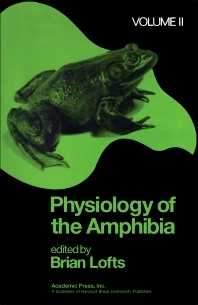 Physiology of the Amphibia, Volume II focuses on the various aspects of amphibian reproduction, both physiological and behavioral, and the interrelationship between these mechanisms and the environment. Organized into five chapters, the book begins with the integrative functions of the amphibian brain. It then describes the cytophysiology of the amphibian adenohypophysis, as well as their reproductive organs and associated sexual structures. It also discusses the physiology of the process of yolk formation, vitellogenesis. The reproductive and courtship patterns and intersexuality among amphibians are also described. This book will be useful to general biologists as a reference source and to students with interests in animal physiology.